The Franklin County Judicial Center was opened in November of 2009. 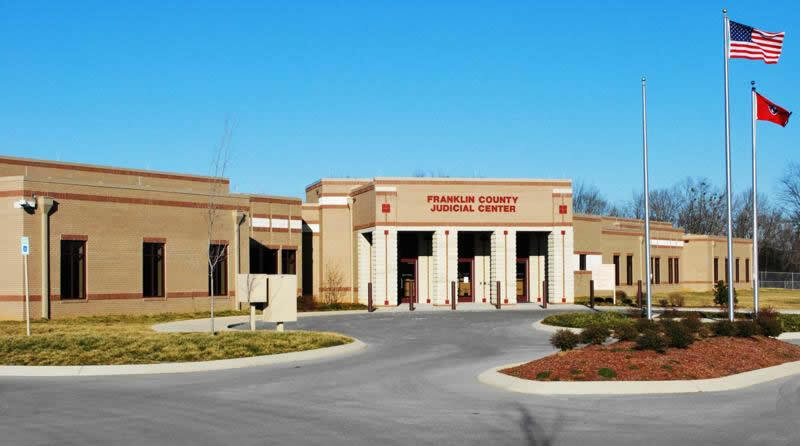 The Judicial Center now facilitates the Circuit Court, General Sessions Court, Juvenile Court, Child Support Court, Drug Court and Chancery Court of Franklin County. Everyone must pass through a security checkpoint at the entrance of The Franklin County Judicial Center before entering the building. Please be aware that knives of any kind or anything else that can be construed as a weapon will be not be allowed in the building. Please leave all such items at home or in your vehicle.